Opened 4 July 1887. Named in honour of the Argentine patriot, General José de San Martín (1778-1850). Destroyed by fire later in 1887. Subsequently rebuilt and reopened 1902. Demolished. Front Text: "Buenos Aires (Rep.Argent. 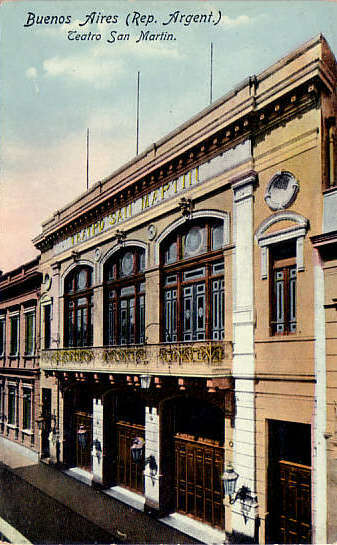 ), Teatro San Martin"